This article isn’t about statistics. categories that are bandied about so often. This article is about hockey. book as it is a primer for advanced analytics. trove of raw possession data on Flames players. Abstract going on two years now. Fair to say, this guy loves the game. 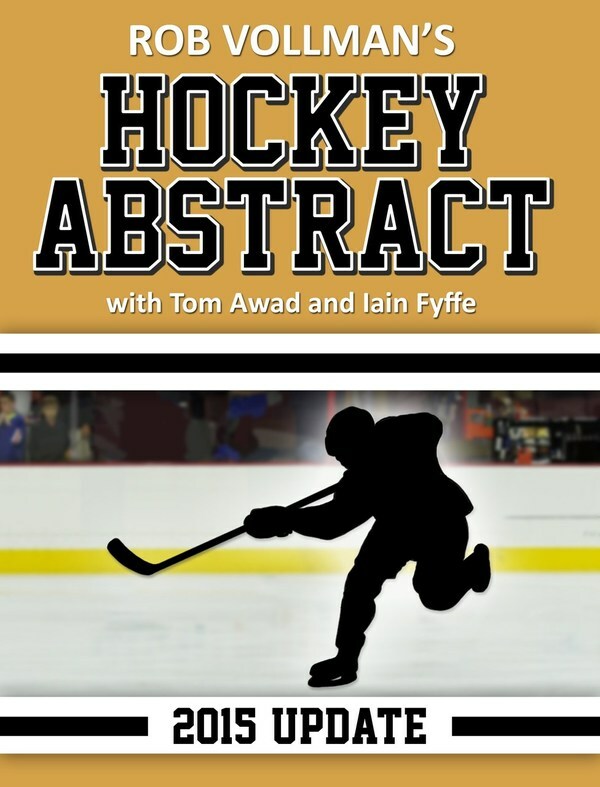 iterations of Hockey Abstract will be available in major book stores coming fall 2016. PDF updates will be available for download for those who have purchased the print copy to ensure that the data and analysis within is completely up-to-date. you can find it here as well. Who’s the best goalie in the league? Why isn’t Lindros in the Hockey Hall of Fame? Who’s going to win the Stanley Cup this year? How will the Flames do this season? to put it modestly, eye-opening. and explanation of many of these terms. into a cold, clinical environment, as it were. that is they resonate with the instincts of an informed fan. player? Again, the numbers would support that assertion. us and we need an objective check against our own biased impressions. years old and having to count them by hand using box scores in the newspaper. have untapped potential based on their underlying numbers. some of the topics included. No, we can understand voodoo. throwing darts at a board, which is about where the industry standard is today. Burtch, Micah Blake McCurdy, Tom Tango and a host of others. purchase a copy of Vollman’s Hockey Abstract here. When scheduling stories to go live, it helps to remember what day of the month it is. Today I learned that October 9th…is tomorrow, not today.